He initially studied engineering for two years, then made the switch to architecture at the Rafael Landívar University, finally changing his focus to visual art at the National School for the Plastic Arts in Guatemala. He has been a teacher of painting, drawing and sculpture at RLU since 1992, and has established a reputation as a respected teacher of art. His series of works from 1996 is comprised of mixed media works dealing with themes of memory and abandon. Escobar's work quickly acquired prominence at an international level. 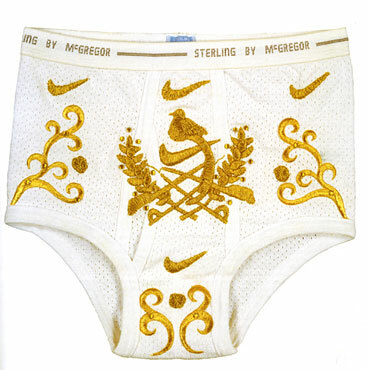 Escobar's works often utilizes Colonial baroque imagery of Guatemala as is the case with "Just Do It" (1999), where American underwear, formerly fashionable among his country’s upper class, are embroidered in 24 carat gold with the Guatemalan national emblem. One of his most important pieces exhibited at PSI in New York, is entitled "Freeway" and is a long, black elastic bed divided in the center by a yellow line, such as that of any highway. The bed allows you to jumps and play on it, but leads nowhere because it is a satire on Guatamalan modernity, "that space which has been denied us", that is, of the lack of infrastructure in Guatemala. At the Costa Rican Museum of Art and Design (http://www.madc.ac.cr/), Escobar is currently presenting an exhibition entitled "Espacios provisionales" (Provisional Spaces), consisting of a large fastfood box five meters in height with cardboard walls, painted by young people from poor neighborhoods with logotypes of different fast food companies. For the Escobar, the work endeavors to show both the American colonial influence and its unconditional acceptance among the Latin American popular classes. A complete McDonalds franchise, in which the culinary codes of the region are assumed was presented at the VIII Biennial of La Havana 2003. "Instead of French fries there will be MacTostones" explains the artist. The following 2003 interview by Javier M. de Pisón took place at the Sol del Río Arte Contemporánea Gallery in Guatemala City.